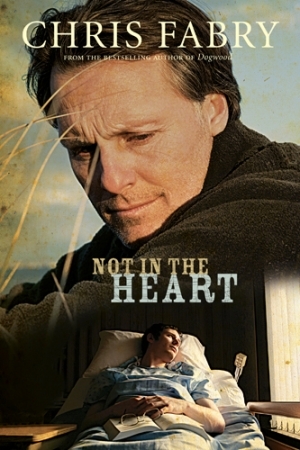 Being a subscriber to Deb’s Book Blast automatically qualifies you to be in the draw to win the ebook version of this 2013 Christy Award winner, Not in the Heart by Chris Fabry. I’ll announce the winner of the draw at the end of this Book Blast. To celebrate the fifth anniversary of the release of Edges of Truth (by me) I’ll also be giving away an ebook copy of this book at the end. After the announcement of both of these winners, I’m including a free story that is sure to challenge your heart toward thankfulness. In the past couple of months I’ve played a detective’s role as I tried to detect new allergies that have started to bother me. Those of you who have allergies know that finding out what they are and how to live with them can be a major challenge. In the midst of my confusion I’ve found many things to thank the Lord for. Things are beginning to come together for me as I see a relationship in my apparent allergies to cinnamon, citrus and citric acid, and propolis (related to honey and beeswax.) I also seem to be allergic to almonds. I hope you find many occasions to be thankful during the challenges you’re facing today. December comes early this year. I’m moving my December Book Blast up a month to celebrate the fifth anniversary of the release of my book Edges of Truth. Mary Weaver, a godly Christian woman from Marshalltown, Iowa, was providing childcare for a baby when the little girl quit breathing. Mary called 9-1-1 and performed CPR, but by the end of the day, the baby died. Medical experts looked at the evidence and saw different things. Some of these doctors pointed to brain injuries that had been inflicted 7 to 10 days before the baby’s death. They believed Mary had done nothing to cause the baby’s death. But other experts set those injuries aside and believed Mary had shaken and slammed the baby during her 42 minutes with the baby. They believed those injuries led to the baby’s death later in the day. Though Mary was completely innocent of causing any injury to the baby she loved, Mary was accused of first degree murder. What followed is an amazing story of presumption of guilt, miscarriage of justice, and God’s invisible work behind the scenes. Thirteen years after Mary’s case was resolved, Steve Brennecke, Mary’s friend and former lawyer, told me her story while visiting my husband and I in New Zealand. Days after Steve left, I couldn’t get the story out of my mind. I decided God was leading me to help bring this story to print. Mary agreed to share her story in book form on one condition. She wanted God to get the glory for what happened. The task before me was enormous. I needed to take thousands of pages of court transcripts, plus interviews with Mary and Steve and turn them into a book. Not just a book that proclaimed the necessity of the presumption of innocence, but one that warmed the heart and entertained the reader as well. I knew this called for the best fiction techniques. I must not simply tell Mary’s story. I needed to pull facts and feelings from true life characters, to create scenes that make readers feel they are living this story along with Mary and Steve. 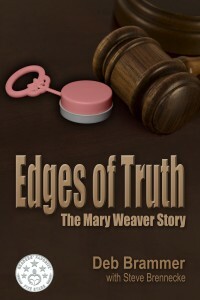 Three years later; after lots of communication, work, and a gigantic last-minute effort to finish the book on time; Edges of Truth: The Mary Weaver Story was ready to release to the public. God gave us a perfect venue in Marshalltown, Iowa. On November 22, 2013, well over one hundred people packed the auditorium, many coming four hours or more for the book launch, and most staying for the entire evening. Mary, Steve, and I were in the same room together for the first time ever. Paul Rosenberg, Mary’s appeal lawyer, was there along with Frank Santiago, the reporter who championed her case, witnesses for her defense, one of the jurors, and Mary and Steve’s family. We not only sold a lot of books, we were able to recognize people who played a key role in Mary’s defense and support. Most of all, we were able to give a clear testimony about God’s goodness in Mary’s story. Writing Mary’s story moved me to tears many times. It changed me. Remembering Mary’s thankful heart in incredibly difficult and unjust situations continually challenges me to show the same thankful spirit. Following the announcement of the drawing for the winners of Not in the Heart and Edges of Truth I’m including a chapter from this book about Mary Weaver. I hope this true incident that happened when Mary was in prison, separated from her husband and two small children, will encourage the same thankful spirit in you. I have randomly picked a winner from my subscribers list to receive the ebook version of Not in the Heart by Chris Fabry. And the winner is … A. M. Gonzales. I picked this book for the drawing because I enjoyed it so much. I read Not in the Heart by Chris Fabry at least twice and gave it one of my rare five stars. In this book Truman Wiley is a successful journalist, but a dismal failure as a dad. This journalist/dad is forced to choose between rescuing an innocent man from death row and losing his son. The situation seems impossible, but in the end, Chris Fabry writes a dynamite finish that leaves you thinking. This book is exceptionally well written. The second time I read it I knew the ending, but I really enjoyed studying how Chris Fabry put it together. The plot is perfectly structured, suspenseful, and unpredictable. The writing is witty and transparent. It is distinctively Christian but the message comes through the viewpoint of a hostile protagonist which makes it all the more effective. Highly recommended! The winner of an ebook version of Edges of Truth by Deb Brammer is … Jeannie. Note: I will always acknowledge winners by the names they want to be used, even if it is anonymous. And here’s your free story. This is a portion taken from Chapter 25 of Edges of Truth. It has been adapted so that it can be used separately from the rest of the book. Mary Weaver sat on her prison bunk and slipped a family photo from the pages of her Bible. It pictured her with her husband and two children, before she was sentenced to life in prison without parole. She caressed her red-headed son John and his blonde sister Catherine in the picture. For sixteen months she had only seen them once a week when her husband brought them to the prison visiting room. It all started January 22, 1993 when Mary was providing childcare for 11-month-old Melissa. Mary was putting the baby’s snowsuit on when Melissa quit breathing. Mary called 9-1-1 and performed CPR until the ambulance came, but the baby died within a day. The autopsy found a two-inch skull fracture and other severe injuries that were seven to ten days old. Some doctors ignored these older injuries and believed Melissa’s death was caused by acute injuries from shaking and possibly slamming the baby just before she quit breathing. Since Mary was with Melissa during the forty-two minutes before she quit breathing, they believed Mary must have caused the fatal injuries. Mary had never done anything to hurt Melissa but opinion on her guilt was divided. Her first trial ended with a hung jury. Her second trial, by judge, ended with a conviction for first-degree murder and child endangerment. Mary’s lawyers were seeking to appeal her case, but over a year had passed and they still hadn’t been able to get a new trial. Meanwhile Mary was separated from her husband and kids who were now five and six years old. Mary felt sure God would eventually free her and clear her name. She was a Christian and she knew God would get her through prison one day at a time. But she grieved for her children and unsaved husband. Months had passed into a year and more and her children were growing up without her. She would never get those years back. Mary set her Bible aside and preceded the guard down the prison corridor. Who could this be? As she stepped into the visitor’s room Catherine skipped up to her in a pink tutu and leotard. “Mommy, Mommy, I’m going to my dance recital! Aunt Lisa brought me so you could fix my hair.” Catherine jumped around until Mary could hardly get a hug from her. Mary smiled her thanks at her friend, Lisa Murphy, who had figured out this creative way to include Mary in her daughter’s special occasion. “Yes, yes, yes, with pink ribbons!” Catherine bounced with every word. Mary removed ribbons and elastic bands from Catherine’s ponytail and pulled long blonde strands into sections with her fingers. “Hold still,” she reminded her daughter as she started one braid. Mary breathed in the fruity fragrance of the superfine hair as she began to weave the strands into identical braids on either side of her daughter’s head, then tied perfect pink bows at each end. Mary lifted her chin. But God allowed me to fix her hair. God gave me that precious moment. God is good. She thought of other ways God had allowed her to mother her children as well. God had given Mary a prison job, and her wages had been raised from thirty-eight to forty-one cents an hour. So what if it was only ten percent of minimum wage? The job made her time pass more quickly, and she could use the money in the commissary or craft store. Supporters could also add twenty dollars a week to her prison account. The activities directors had been especially kind to use this money to purchase fabric and patterns for her. Mary had been able to sew outfits for the kids, paint T-shirts, and buy presents for them. Mary returned to her cell, sat on her bunk, opened her Bible, and prayed. Lord, help me to be thankful for what I have, not to complain about what I don’t have. A prison sentence made it easy to slide into self-pity. Unfairness could defeat her but only if she let it. Instead she thought about The Hiding Place, a prison library book she had recently read. Corrie ten Boom had hidden Jews in Holland during World War II. The Nazis had caught her and thrown her into a bitter cold prison for four months, then a women’s extermination camp in Germany. Except for her sister, who was imprisoned with her for a time, Corrie had almost no contact with her family. She and her sister existed in overcrowded, filthy cells with little regard for sanitation and little to eat. They were allowed no exercise or fresh air. Like Mary, Corrie was unfairly imprisoned, yet Corrie’s sister challenged her to focus on what she had. Corrie accepted the challenge. In solitary confinement she hungered for human contact, but she thanked God for an ant that crawled into her cell and provided a bit of company. In one of her prison cells, for one hour a day, she could stretch herself out tall and feel the sun shine on her head and chest. She thanked God for the sunshine. Later, at the extermination camp, she slept piled on a straw-covered platform with many other prisoners, sandwiched between other crowded platforms. Fleas infested the stinking straw, but Corrie even learned to thank God for the fleas. The tiny insects kept the guards away from the overcrowded bunk, where she hid her precious Bible. The State had stolen her family. The first year they seized all her possessions, even her clothes. Only now they allowed her to keep a few things of her own. The State could separate her from her home and family, but they couldn’t take God away from her and they couldn’t take her away from God. She would focus on him and the things she was allowed to enjoy. Today that meant fixing her daughter’s hair for a special occasion. God showers us with so many blessings every day that we sometimes get used to them and claim them as rights. When we have them we don’t appreciate them, and when we don’t, we complain. Thanksgiving is a great time to focus on what we have. What has God given you today?